New Zealand completed a stunning comeback to beat South Africa and clinch the HSBC Sevens World Series title in Wellington on Sunday. 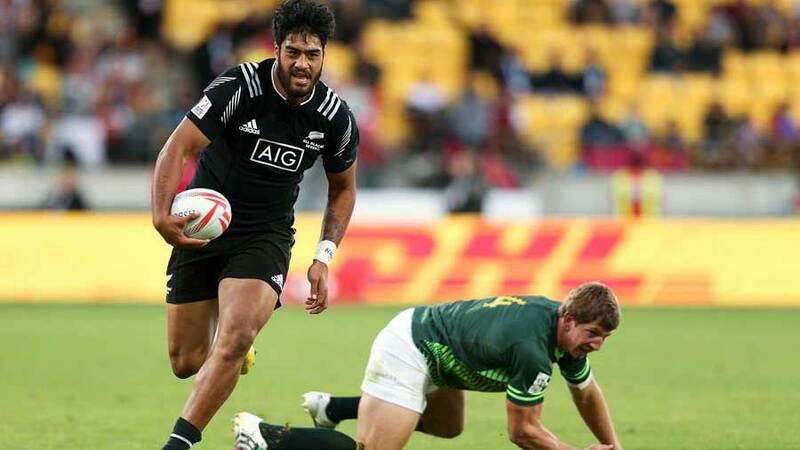 The All Blacks Sevens rallied from deficits of 14-0 and 21-7 to clinch a 24-21 victory with three tries in two minutes, which included Joe Webber's match-winning score, at Westpac Stadium. The victory -- which gave Sir Gordon Tietjens' side their first title of the 2015-2016 season -- moved New Zealand to third in the World Series rankings behind South Africa, who assumed top spot despite defeat in Wellington, and bronze final winners Fiji. "All week we talked about how we needed a lot of heart and a lot of ticker," New Zealand captain Tim Mikkelson said. "Liam Messam came back from Japan and talked about putting the pride back in the jersey after the last couple of tournaments, and that's what we did. "We talked about securing the kick-offs and we bumbled a few and put ourselves under pressure but we knew if we coud keep the ball in hand we could win." Earlier in the day, New Zealand secured a 25-5 victory over England to reach the final while South Africa raised eyebrows with a convincing 31-0 win over Fiji. South Africa coach Neil Powell said: "To beat Fiji in that manner and to keep them scoreless is unbelievable. The boys deserves credit for that special performance." "It was important for us to see how we would perform without regulars such as Frankie Horne, Kyle Brown, Cecil Afrika and Werner Kok. We also lost Ryno Benjamin on the eve of the tournament, so it was very pleasing to see the guys playing so well in Wellington." However, Fiji recovered to beat England 24-12 in the bronze medal final. New Zealand had been without a World Series win since Wellington last year, and the injection of several Super Rugby players boosted their stocks considerably after their sevens-specialist players had struggled with form and injuries at tournaments in Dubai and Cape Town in December, leaving them sixth overall through two rounds. They had predicted their size and physicality would be an advantage in Wellington, and never was that more visible than when they overwhelmed England by five tries to one in the repeat of last year's final. Strapping winger Ben Lam scored a double inside the first three minutes, the second set up by the most dominant runner at the tournament, Akira Ioane. 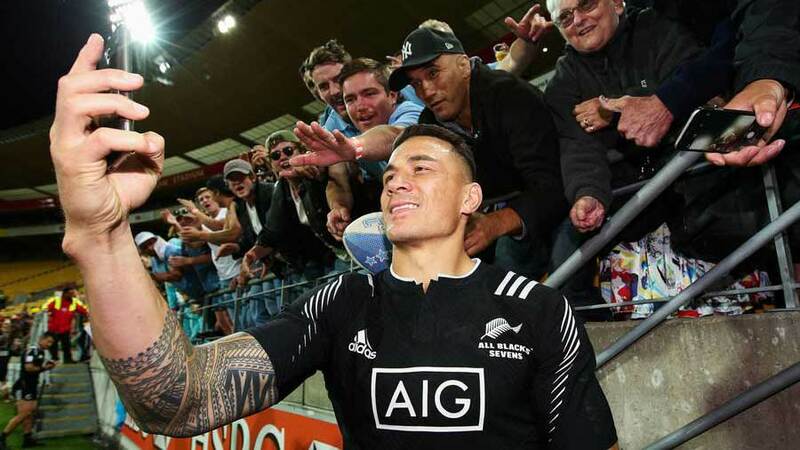 Sonny Bill Williams then benefited from another Ioane bust to score his second try of the tournament and put the hosts 15-0 clear at half-time. Kurt Baker and Rieko Ioane crossed in the second half while Jack Wilson grabbed an England consolation try. The Blitzboks, who had defeated previously unbeaten Australia in the quarterfinals, then stunned Fiji 31-0 in the clash of the two world series leaders to make the final, with diminutive trio Seabelo Senatla, Cheslin Kolbe and Rosko Specman all too quick for opponents who made a swag of uncharacteristic errors. Kolbe scored twice while Senatla, Specman and reigning world player of the year Kwagga Smith all crossed.